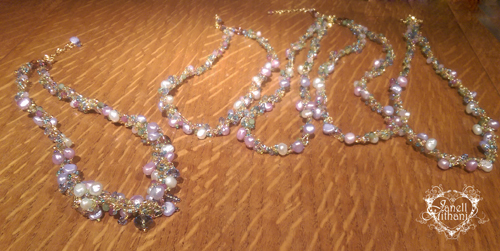 I created these necklaces for my girlfriend, Sharlette for her and her bridesmaid’s. 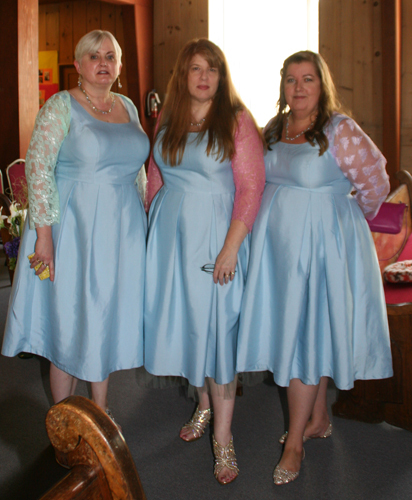 We have been friends since college, I was also one of her attendants at her wedding on August 8th in Oregon. 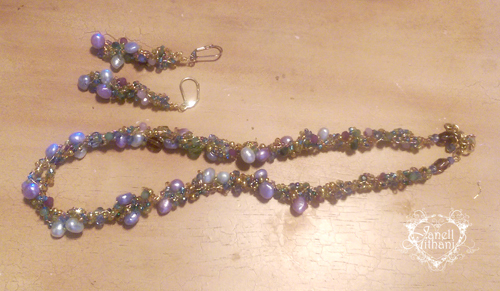 I made necklaces and earring set in her wedding colors and used dyed fresh water pearls and crystals. 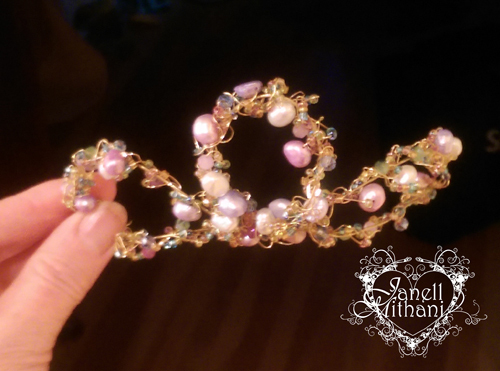 I also made her this cute funky crown to wear the night before while hanging out with her bridal party. We had a really fun time reminiscing and getting re-acquainted, I hadn’t seen some of my old college buddies since my wedding almost 30 years ago. It was so great to see everyone and a wonderful, special day! Here I am with my two girlfriends from college. We traveled to Oregon from Los Angeles, Phoenix Arizona and Sydney, Australia. And with the bride before the wedding while she is getting ready. I have been traveling a lot this month and haven’t had time to post or read everyone’s blog posts. I have only been able to view my reader on my phone a few times. I have one more family wedding and my daughter is home for a short visit before she heads back to college, so I will get all caught up with everyone’s blog posts in September. I hope you are all having a wonderful August! This entry was posted in Art and tagged bridal jewelry, handmade jewelry, pearls. Bookmark the permalink. ← Charm Bracelet for a Girly-Friend! The necklaces and earrings are gorgeous! They go beautifully with the dresses. How fun to reunite with your friends after all these years! Thanks, Susan. We had the best time catching up and reminiscing about our college days. 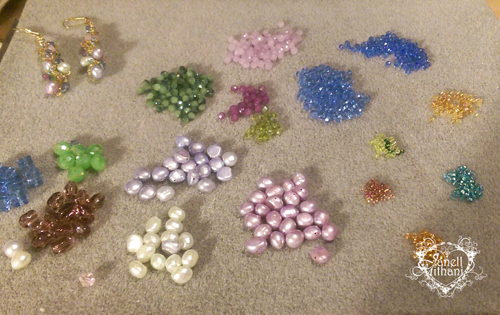 The jewelry was so beautiful! You have so many talents!